“So, I want you to get up now. I want all of you to get up out of your chairs. I want you to get up right now and go to the window, open it, and stick your head out and yell, ‘I’m as mad as hell, and I’m not going to take this anymore!! '” –Howard Beale’s rant, in the film, “Network,” a 1976 media satire. U.C. Berkeley students—always attuned to charismatic leaders—leaned out their dorm windows, in ’76, chanting the mad-as-Hell hymn. 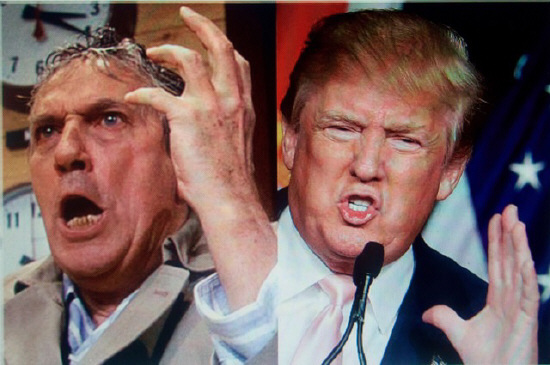 Berkeley Reporter is not the first journalist to note the joined-at-the-lip relationship between the two media figures, Donald Trump and Howard Beale. Beale, a befuddled anchorman with low ratings, was offed on-air in the film, Network. This is where Berkeley Reporter hopes to make a contribution—by taking the Beale/Trump connection to its logical conclusion. 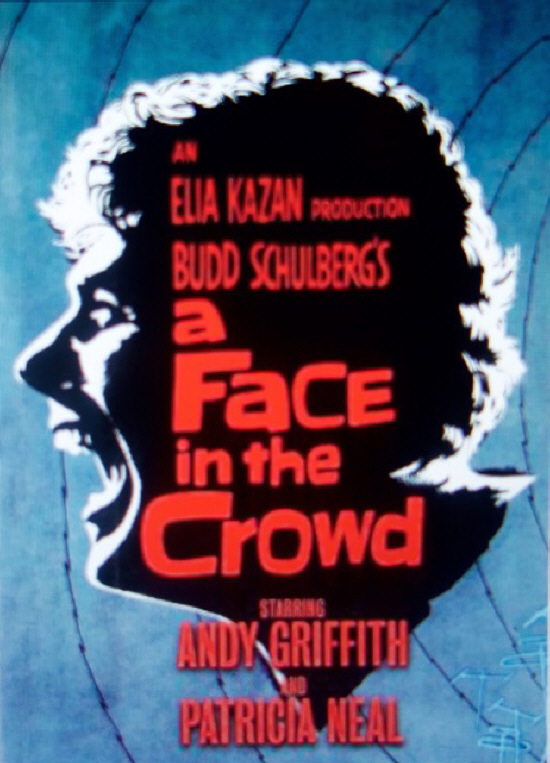 Rhodes, “a Face In the Crowd,” 1957, was a drunken ex-con who, via radio, becomes a political adviser to a senator before a microphone, left open on air, exposes his contempt for his listeners. 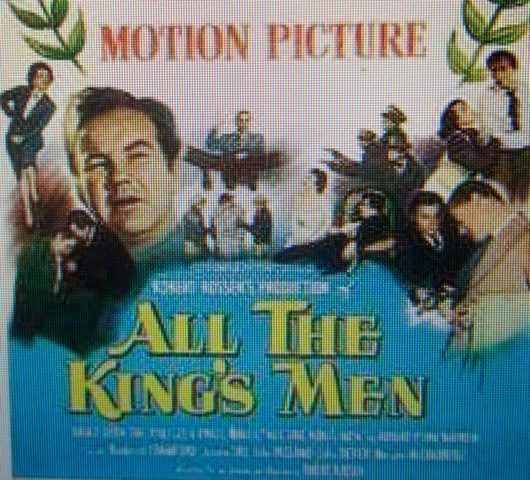 Willie Stark, “All the King’s Men,” ’49, is a populist and ruthless governor (think of Broderick Crawford, as a snarling highway cop on 50s TV) who is killed by a disgruntled member of his inner circle. Bulworth,’98 (the name says it all), while losing a senatorial re-election campaign, turns to drugs, alcohol, and real-life poet immortal Amiri Baraka. 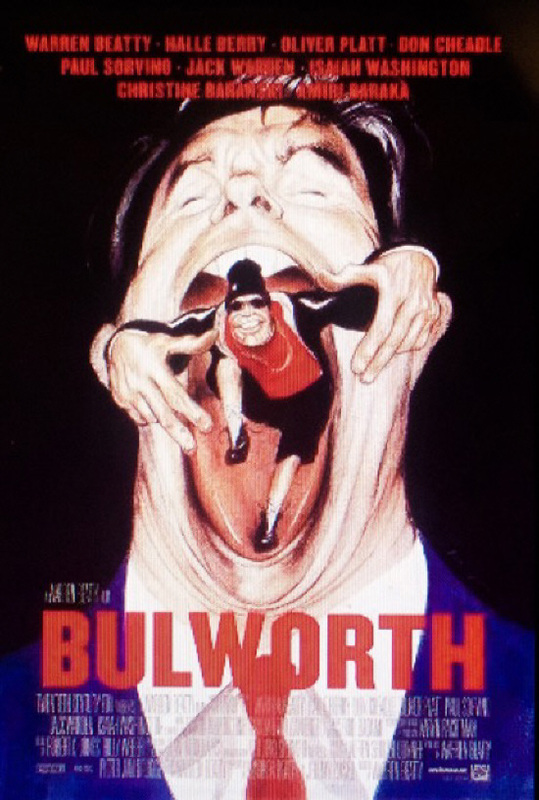 A stoned Bulworth delivers campaign cackles that Trump might envy but not match. Under the tutelage of boys-in-the-hood, Bulworth becomes a rapper before he is killed during a news conference. Before someone objects to our celluloid-versus-flesh false analogies, we call your attention to the assassinations of Robert Kennedy, 1968, and the assassination attempt on Presidential Candidate, Gov. George Wallace, ’72. Ross Perot, a presidential candidate in ’92, dismissed assassination speculation, saying no one would kill him because everyone loved him. Trump trumpets the same theme as Perot; “everybody loves me.”—Trump. Howard Beale is killed on live T.V. by a cartoonish band of would-be domestic terrorists, not for his sinking ratings, but because he’s outed his network as a corporate stooge. Pitch for a movie: a blunt presidential candidate steps on feet, like a drunken duck in a shoe store. After the candidate, David Dork, threatens domestic terrorists linked to the Middle-East, a terrorist cell in Poughkeepsie, N.Y. kills Dork, explaining -— in a death-by-cops suicide note -— that their martyrdom will move America to step up attacks in the Middle-East, rallying aspiring terrorists world-wide. This entry was posted on Monday, November 30th, 2015 at 5:57 am	and is filed under Film Reviews, The Global Scene Through Berkeleyan Eyes. You can follow any responses to this entry through the RSS 2.0 feed. Responses are currently closed, but you can trackback from your own site.